Why The Principles Of Walking To School With Your Child Seems To Be Getting Lost. I had the pleasure of having a guest post from @ Mommy Bliss_RJ! Take a look and gets you thinking! I have graduated from driving or walking my children to school, but I do have a lot of fuzzy memories trudging to and from my own school in all kinds of weather with my parents and, later on, with my friends. However, I’ve come to notice that this practice is almost extinct in my neighborhood and its schools, so I set out to find out why. There are many reasons why today’s parents are choosing to drive their kids to school. Many see walking or biking down streets designed for cars and filled with strangers as prohibitively dangerous for children, especially for those living in large cities. City Lab explains that others see driving as a kindness to children, who then won’t need to trudge all the way up to school and back. This makes sense for those who can drop off their kids on the way to work as well, and this arrangement has become the new norm for America’s families. As it turns out, around half of all children in the United States walked or biked to school way back in 1969. Forty years later, this number had plummeted to a mere 13% of children, with parents living within a mile from their children’s schools still opting to drive them. I hate to be the kind of mom that harkens back to the good old days way too often – but there’s certainly something to be said about kids getting to school on their own steam. There’s a growing body of research that serves to illuminate just how beneficial walking or cycling to school can be for children. One of the most obvious benefits, of course, is that a short walk or bike ride to school is a form of exercise. But a more interesting side effect of this is that kids who walk or bike to school tend to respond to school-related stress in more healthy ways as compared to kids who ride cars. 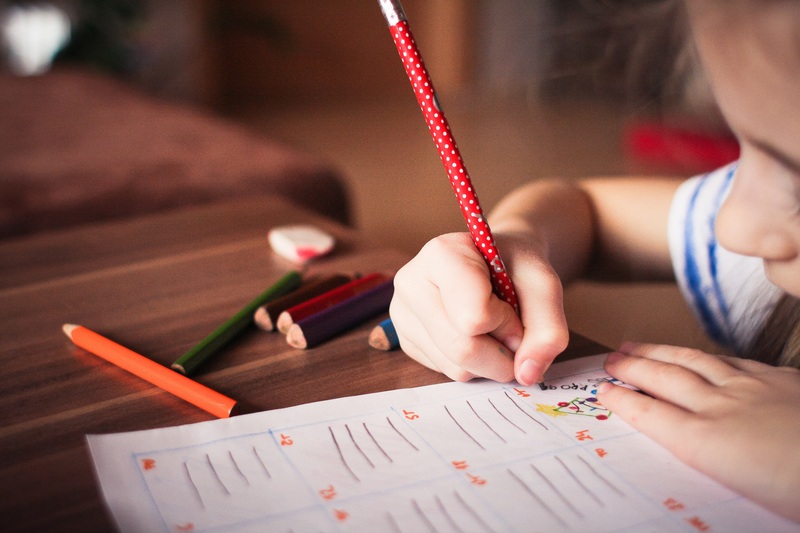 Researchers from the University of Buffalo found that children who walked or biked to school display smaller increases in heart rate and systolic blood pressure, while also reporting lower levels of stress and anxiety when asked to answer exams. These findings are reflected in similar studies across the globe, with one Danish study of 20,000 kids revealing that children who walk to school performed better academically. This means that not only does walking to and from school lessen risks of cardiovascular disease in the future, but also helps children perform better in school everyday. Walking or biking also has social, psychological, and environmental benefits as well. Tootsa explains that walking to school can help kids build friendships and interact with members of the community, while also learning to be observant about things they see during their walk. After all, children can hardly stop and smell the roses when they’re dozing off in the back seat! If you walk your kid to school, you get to teach them basic principles of road safety, and when it’s time to go home, you also get to bond with them by asking about their day. You can even de-stress with them by laughing together – something that was discussed previously here on Unfiltered Mom. Doing so even lessens traffic congestion and pollution, while also sparing your wallet from extra fuel expenses. The sad reality is, letting children walk to school doesn’t always seem like the safest choice. There’s plenty of work to be done in lobbying for safer roads in America and making neighborhoods more walkable. However, children still do stand to gain immensely from daily walk or bike rides during their formative years. And if parents can pay for test prep, after-school enrichment programs, and trendy brain-boosting food, then maybe they can give their children the simple gift of arriving in school by foot ready to learn as well. Tips For Moms To Jump Into Spring Laughing!